You have 5 lives between all the people playing. Dying may mean a complete restart of map depending on where you got up to. Dying does not mean a full restart of the map. No breaking cobwebs with swords. No using any torches you may obtain. Read the signs for suggested loadout for each section. The chests are designed for 5 lives/people so only take 1 persons share per life. 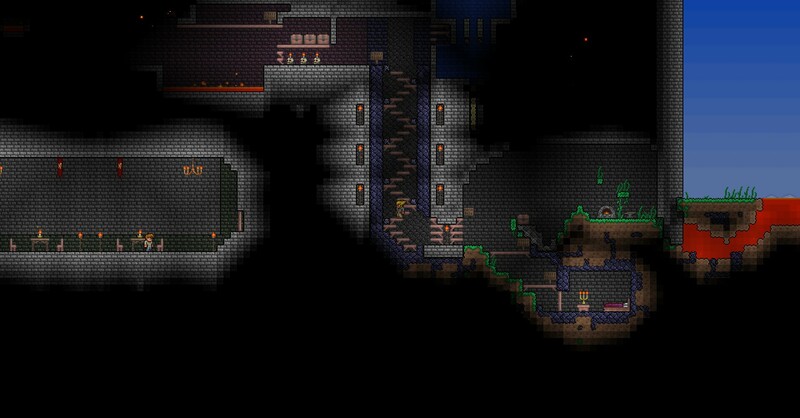 A great Installation guide for terraria maps can be found here: http://www.terrariaonline.com/threads/how-to-install-a-map-in-terraria.17398/ However if you already have 5 worlds you will need to back one of them up and then replace with this one. You do not have to rename the file for it to work.